Do you want to keep your Galaxy S7 edge's glass back free of cracks? Want to cover up some blemishes on the back of your OnePlus 3? The "robot-run," Lamborghini-owning skin company is no stranger to releasing eccentric new materials; in the past few months, the company has released Concrete and Hyperblack Titanium. Now, after a not insignificant amount of teasing, it's taken the wraps off of Marble, alongside a 30% discount. 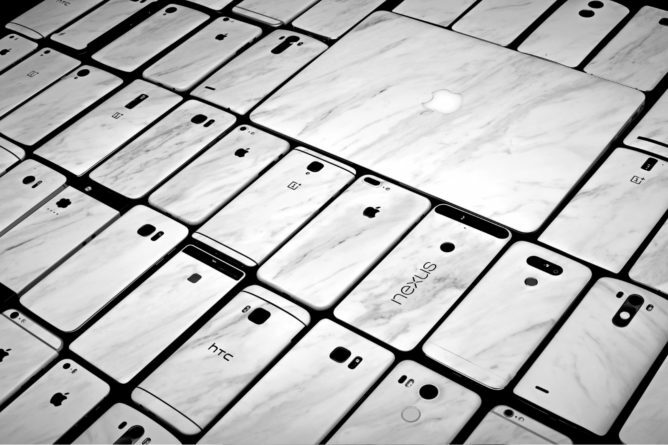 Although the new skin bears a strong resemblance to marble, it's obviously not actually made of stone. This material can be purchased for any devices that dbrand already skins, which, as you can tell from the pictures above, is a large amount. That's not all, though; like it has done with previous material releases, dbrand is also issuing a 30% discount on all skins that it sells until Thursday midnight (EST). Since the reduction is already reflected on the website's prices, a promo code isn't necessary. Shipping is $3.95 worldwide.